Go to where your audience is. Do More with Social Media! Since its inception in the early 2000’s, social media has redefined online marketing as we know it. Perhaps the biggest advantage of this phenomenon is that brands, businesses, and personalities can directly interact with followers in a personalized and meaningful way. Think of the leading platforms like Facebook, Twitter, LinkedIn, Instagram, and Snapchat. Each brings its own unique twist to the mix when it comes to wooing consumers. Due to the fact they are constantly coming up with new updates, features, and functionalities, marketers need to be “the know” 24/7. From large enterprises to startups, social media significantly levels playing field in terms of finding new customers and experimenting with innovative approaches to get messages across. With billions of people using these channels every day, the payoffs can be huge! However, many people have the misconception that social media marketing is a walk in the park. If you want to see results that bring your business to the next level, this is not the case. Our team knows exactly how intricate and complicated the actual process can be. Ayokay’s social media marketing team will be the driving force behind the scenes of your brand presence on various channels. Our skilled professionals have a proven track record of handling accounts of all shapes and sizes, as well as their promotional campaigns. We constantly strive to create compelling messages that engage with new and existing users on a regular basis. We create channel-specific strategies customized to meet your precise business needs. 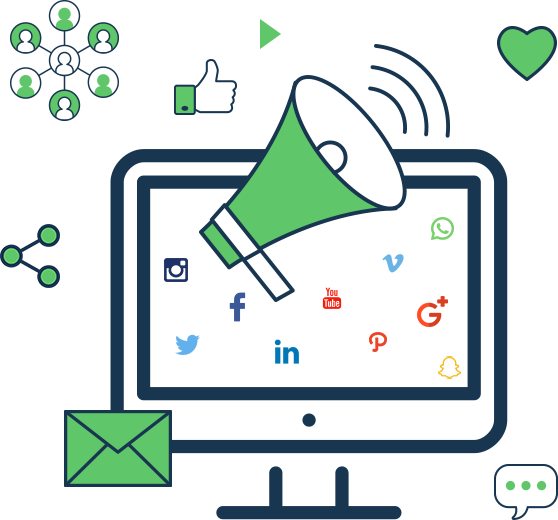 Our team will efficiently manage paid campaign budgets for sponsored posts and boost audience interaction. One of the primary goals of our strategy is to position you as a thought leader in your industry and encourage customer loyalty. We make consistent efforts to establish connections with influencers, brand advocates, and ambassadors to broaden your reach across the web. No decision we make is without the proper data to back it up. Every move will be firmly rationalized to result in positive gain. 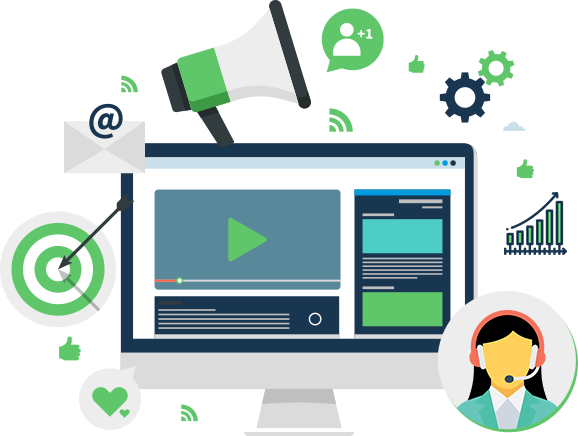 Our social media experts’ underlying objective is to improve your business’s bottom line by expanding your followership across a wide range of channels. Using analytical skills, cutting-edge software, design prowess, and a keen eye for the finer details, we will work constantly to bring you results we can both be proud of. Identify extensive opportunities and implement a robust content strategy. Ensure consistency in brand voice, quality, and creativity in every post. Oversee strategy, development, and execution with detailed reports of activities, scheduling, and results. Come up with user-oriented content ideas and curate them on a regular basis. Deliver data-driven insights for consistent optimization. Encourage two-way communication across all channels. Perform various outreach activities and maintain beneficial relationships with key influencers. Monitor feedback in real-time and act accordingly. Conduct frequent competitive analysis to evaluate campaigns. Keep track of the latest trends and emerging platforms for ongoing success. Get ready to transform your business with social media marketing strategies that inspire. Call us today to learn how we can help! Reap The Benefits of Social Media Now!